(SOURCE: JewishIsrael) When societies strive to create conditions for integration and assimilation, first and foremost on the list is the search for "shared aspirations and values, and a focus on what we have in common rather than on difference". As a minority in the Diaspora among the nations who host us, we Jews have struggled to strike a fine and difficult balance between our obligation and desire to engage fully in society as "a light unto the nations" while retaining our uniqueness. While assimilation has certainly taken a severe toll on the Jewish nation, the very threat of losing ourselves in any melting pot prompted the guardians and defenders of Judaism to respond by establishing long-held, unequivocal guidelines for engaging in intercultural and interfaith activities. These Torah principles have ensured a necessary degree of Jewish survivability and continuity through the ages, while enabling the Jewish people to play a significant role in achieving the shared goals of the society at large. Ironically and tragically, one of the costs of enjoying majority status in Israel has caused some very influential Jews to throw caution to the wind and feel confident enough to tear those protective barriers down. At the same time, another opposing dynamic is at play. The very real threat from an Arab and Islamic world has driven an isolated and concerned Jewish leadership to seek support from millions of fundamentalist and evangelizing Christians. For all of their warmth, interest, concern, political backing and humanitarian assistance, the leadership of these flocks is absolutely christ-centered and committed to their mission to spread an exclusive and triumphant Christian message. They are missionaries, who as a result of unrestricted Jewish hospitality have become increasingly entrenched in all sectors and all levels of Israeli society from the underground bomb shelters of our development towns to the rooftops of our yeshivas. In a very real sense, a fear of the situation on our external physical borders has enabled a breaching of our internal spiritual borders. In the quest for commonality with evangelicals, Jewish leadership in both Israel and the Diaspora risks forgetting that which separates and preserves the Jewish nation. In a fairly recent and very transparent example of this breach, the World Jewish Congress (WJC) collaborated with the Knesset Christian Allies Caucus (KCAC) and presented an award to a Christian missionary in recognition of his activities on behalf of Israel. The WJC report cites award-recipient Bishop Daniel Williams of Christian Communion International and former chairman of Teen Mania as also being the founder of Go To Nations, "which spreads the Christian faith and provides for humanitarian needs in 86 countries but does not do missionary work in Israel". Yisrael Medad seemed a little uncomfortable with theology in Teen Mania's Statement of Faith as noted in his MyRightWord blog post, Support Is Welcomed and Requires Review. There is indeed reason for concern, because, despite the impression given in the WJC report, Teen Mania does send missionaries to Israel ( a sampling can be seen here and here), and former chairman Bishop Dr. Daniel Williams continues to sit on the board of that organization. It should be noted that despite working with those who have and continue to target Jews for conversion, Josh Reinstein, Director of the Knesset Christian Allies Caucus which co-sponsored the awards event consistently, denies working with missionaries. At the awards evening, Daniel Diker, Secretary General of the WJC, spoke about Christian love and thanked "600 million Christian soldiers and supporters of the Jewish State and supporters of the Judeo-Christian tradition in history… for being part of our destiny, our glorious past, our present and the promise of our future." 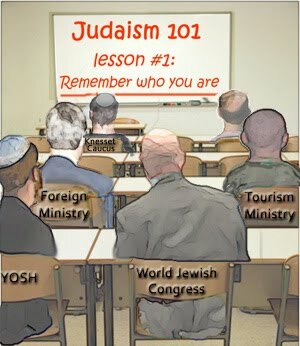 Diker's boss, MK Shai Hermish, chairman of the WJC in Israel, went on to say, "It took us too long time, over 2000 years to understand that we share the same God, the same values, the same story…"
Hermesh concluded with the, by now standard, messiah joke, "have you ever been here before? ", which he attributed to former Jerusalem Mayor Teddy Kollek, and concluded by saying that this is" the whole difference between Jews and Christians". “We are witnessing a dramatic transformation in the relationship between Christians and Jews, who are focusing now on the common values and the common future we both share.” Netanyahu later threw "common heritage" in the pot,as well. This was a real crowd-pleaser, as Pastor Hagee has been persistently tying Jews and Christians together for more than a decade. “If a line has to be drawn, draw the line around both Christians and Jews, because we are one. We are unified. What we have in common is far greater than the things we’ve allowed to separate ourselves over the centuries.” (John Hagee, November 30, 2011 Houston Chronicle). According to the Jewish Daily Forward, a brand new survey by the Public Religion Research Institute seems to indicate that despite years of bridge-building and improved relations between Jews and Christians, the overwhelming majority of Jews in America remain suspect and wary of the evangelical community. Yechiel Eckstein of the International Fellowship of Christians and Jews (IFCJ) found this "shocking and concerning". The article states that, "Eckstein and other activists working on Jewish-evangelical relations expressed a sense of betrayal, accusing Jewish liberals of being prejudiced against Christian conservatives and of clinging to pre-conceived notions and stereotypes about evangelicals’ beliefs and goals." Jewish Israel can understand Eckstein's distress because back in October 2010 the Jerusalem Post reported on a confident Eckstein who seemed convinced that he had won-over the American and Israeli leadership to "his way of thinking" and that only a handful of Hareidi rabbis and "others" stood in his way. Jewish Israel responded to Eckstein in this letter to the Jerusalem Post. Regardless of Yechiel Eckstein's remarkable philanthropic success, perhaps it is time for him to consider that a rabbi whose strategy is to use notorious Christian missionaryfigures as Israel's spokespersons, while he raises multi-millions of dollars for Israel by depicting the Jewish state as a third world country and those living in it as beggars, is going to cause the members of international Jewish community to squirm - even as they accept the funding. Eckstein is not the only high-profile Jewish personality to be exasperated with the Jewish community. Shmuley Boteach, the rabbi who stamped Jesus Kosher and has since moved on to America's political arena, has railed against those Jews who question the motivation behind the outpouring of evangelical love. Boteach suggests that such Jews are "ingrates" and that they "perpetrate sacrilegious character assassination". But can the rejection of the evangelical embrace by the Jewish "man in the street" be strictly attributed to liberal Jewish politics and a handful of diehard hareidi rabbis? Or is there perhaps something far more profound and closer to the truth at play, such as the ever-so-faint, subconscious calling of the Jewish soul reminding even the most alienated among us about his or her covenant, commitment, community and faith? The majority of Jews, whether observant or not are going to continue to hold evangelizing Christians at arm's length because it is something that is engraved upon their hearts. It has little to do with historic anti-Semitism as many would have us believe. What the Jewish community in Israel and the Diaspora would comfortably welcome is a responsible and thoughtful partnership with good Gentile friends of Israel, complete with guidelines and red lines, and a respect for differences. A truly thoughtful friend of Israel, Noahide Jim Long, made an impressive argument in a Jewish Israel blog post that perhaps it is time to stop referring to Judaism as a religion as it promotes "a kind of relativism that allows true observance of Torah to be lumped into the same category as Christianity and Islam". Even with all of the challenges that have chipped away at Jewish foundations over the years, the simple Jew just doesn't buy what our leaders are telling us about Christian and Jewish theological parity, that "we have the same Bible, we pray to the same God, and the only difference between us is over the matter of a first or second coming." It seems that in spite of the dearth of celebrated teachers in this generation, Jewish tradition and the great Torah giants of the recent past, who were able to walk as dignified Jews in a secular and interfaith world, did manage to leave an indelible impression on the Jewish people. Rav Joseph B. Soloveitchik's directives on interfaith matters may have been drafted in the 1960's but they were reaffirmed in 2006 and remain the accepted halacha for the Modern Orthodox world – even and especially at a time of increasingly cozy relations between Jews and Christians. The Rav further clarified his position in a letter to the Rabbinic Council of America (RCA) by presenting a list of topics which he felt would be "improper" for discussion in formal interfaith forums. "He [R. Soloveitchik] is of course opposed to debate, but he is also opposed to dialogue that blurs distinctiveness, that seeks to build theological community and blur distinct identity. His bête noire in this regard is the phrase 'Judeo-Christian tradition'." "...as for "Confrontation", the first 16 pages more or less contain philosophical/metaphysical gobbledygook for most people. The rest, too, is not on the tangent people presume to use it for…"
We can consider that if Rabbis Hirsch and Soloveitchik were alive today, they would have taken a wise, grounded approach to interfaith relations based on solid Jewish principles. This would have enabled them to forge a formidable moral and strategic alliance with gentile friends without breaching sacred fences or toying with the concept of a Jewish-Christian theological/covenantal/biblical union based on naïve and speculative prophetic/messianic thinking. Rabbi Dr. David Berger writes that there is evidence to suggest that Rav Soloveitchik was concerned over the lack of qualifications for interfaith dialogue among most Orthodox rabbis, but that, "one of the rabbis most committed to enforcing Rabbi Soloveitchik’s guidelines has told me on more than one occasion that his revered mentor had said that he trusted Rabbi Walter Wurzburger to deal with theological issues in conversation with Christians." "I would like to begin by trying to understand in depth that which unites the Jews and the Christians. And the first idea and ideal which informs both of our faiths is that of messianism." Nor would those Torah luminaries of the past have likely gone off on a tangent like Rabbi Eugene Korn did last week by claiming in the Jewish Week that, "the real threat of assimilating to Christianity today" stems from Hareidim who act like the (Jewish) Essenes who influenced early Christianity. That may be something of a red herring, because Rabbi Korn is fully engaged in a highly unconventional interfaith venture with Christians, and regardless of the problems in Hareidi society, it is a widely held precept that the quest for commonality can lead to spiritual assimilation with the Christian community. It is beyond paradoxical that Rabbis Riskin and Korn, both former students of Rav Soloveitchik, opened an Orthodox Jewish institution for theological dialogue with Christiansthat places an emphasis on "common heritage and shared Judeo-Christian values". It's highly improbable that we would have found Rabbi Hirsch or Rabbi Soloveitchik rubbing shoulders with the likes of Pat Robertson, who just last Thursday declared on his popular CBN 700 club show that "the poor Jews" can't understand the source of anti-Semitism because they don't believe in Jesus or the devil – "it’s too cosmic for most of them [the Jews] to grasp"
"On planet earth there is no more important piece of real estate than where I'm standing right now…there is no question that this is where the temple of the lord jesus christ will be when he rules and reigns the earth from the city of Jerusalem for a thousand years…and every knee shall bow and every tongue shall confess that jesus is lord...". Or with evangelist Mike Evans, the Jewish boy who accepted the nailed-scarred hands of jesus, who has just purchased prime property in the heart of Jerusalem for a World Evangelical center. Under the present circumstances we may have to start from ground zero and present a very elementary chart to remind all of us of the basic differences between Judaism and Christianity. Jewish Israel does this with great reluctance because, as already explained, it is simply wrong to reduce Judaism to the status of a religion and to compare it with Christianity. In fact, perhaps the need to do so exposes the incredible depths to which this generation has sunk. Nevertheless, for the sake of trying to salvage a bit of the truth, we present this very rudimentary chart as a reminder to our readers and leaders and to those of our people who actively engage in interfaith partnerships and ventures on behalf of Israel. 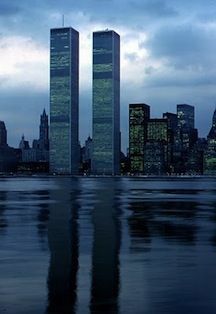 We hope and pray for a day when our people will once again be able to remember who they are and how uncommon they are.